Amish Furniture: handmade, mission style, Amish made furniture – available online! Shop Amish Furniture from comfort of your own home! If you’re looking to buy Amish furniture online and want hand-crafted, quality Amish furniture, you’ve come to the right place! Whether your design style is classic or modern, you want to invest in furniture built to last! Our Amish furniture is made from Amish Craftsman in Ohio. Amish Furniture categories: Amish Dining Room furniture, Amish Bedroom furniture, Amish Patio and Outdoor furniture, Amish Office furniture, Amish Family Room furniture, and Amish Children Bedroom or Nursery furniture! Amish Furniture (from Sugar Plum Oak) is hand-made by the Amish of Ohio from these wood types: solid oak, cherry, hickory, maple, quartersawn oak, rustic quartersawn oak, walnut and brown maple. Sugar Plum Oak delivers Amish handmade furniture in the United States! We sell a wide selection of Amish furniture including pie safes, mule chests, computer desks, dining room tables, and sleigh beds! There’s not room to list all our Amish furniture here! Find out more about the Amish. Amish Furniture that is custom-made takes approximately 12-16 weeks from the time you order your Amish Furniture to the time the Amish Furniture is delivered. Sugar Plum Oak Amish Furniture is an heirloom you can pass down from generation to generation. 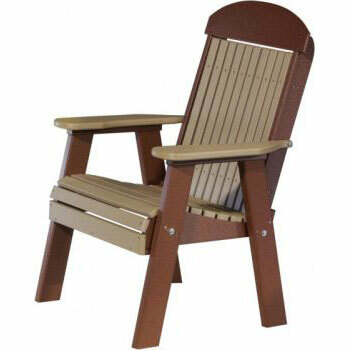 Amish furniture you’ll be proud to share with your children and grandchildren. Amish Furniture of heirloom quality takes time! This site is secured using 256 bit encryption to ensure your personal information stays that way.